Are you a have-to-have-silence person or a music-is-always-on person? I am most definitely the latter, especially during this time of year. As my gift to you in this last week, I’ve created a Spotify playlist filled with all my faves.. it’s got everything from *NSYNC to Josh Groban to Trans-Siberian Orchestra to Elvis.. it’s an awesome mix, if I do say so myself! Are you dreaming of the work-from-home-dance-around-in-your-sweatpants life? 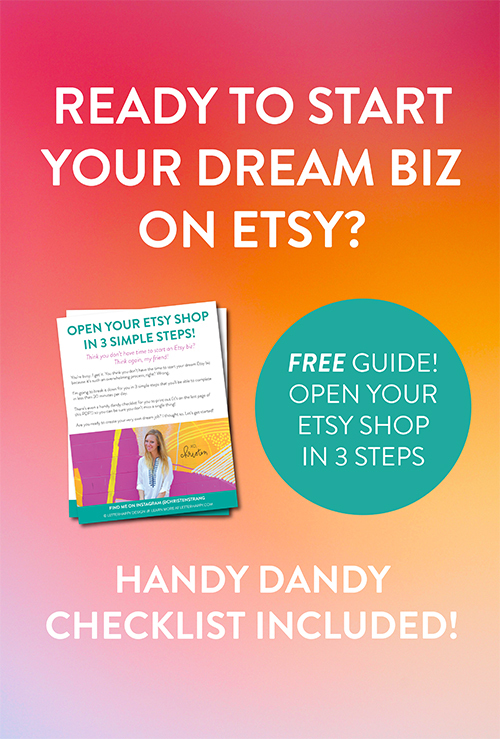 Snag my FREE guide to opening up an Etsy shop in 3 simple steps!